An effortless account of what it means to stop being risk-averse. Writer/director Alexander Payne always manages to bring the story. Whether it be through the high-school hijinks of Election or the central coast coziness of Sideways, the celebrated filmmaker delivers complete stories. Nebraska extends his trend by disguising a grand argument beneath stark landscapes and authentic characters. The Overall Story Throughline begins when Sad-sack stereo salesman David Grant (Will Forte) agrees to take his father Woody (Bruce Dern) to Lincoln, Nebraska. The reason? To collect a $1 million sweepstakes prize Woody believes he has won. As they travel from Billings, Montana the two run into friends and family—devious and delirious—who have their own agendas when it comes to Woody’s money. David has issues of his own. His uncomfortable moment with ex-girlfriend Noel (Miss Doty) shapes the essence of the Main Character Throughline and his reticence to take action. If there is any criticism to be had with this film it could rest firmly with David’s story. While it resolves nicely (with a clear Main Character Resolve), the throughline itself becomes lost along the way. This dialing back of personal issues creates a sense of detachment within the Audience, preventing honest involvement with the on-screen events (Forte’s uncomfortable performance only adds to this). But this clearly is Woody’s show. His acerbic and pained Influence Character Throughline resonates strongly with those familiar with acerbic and pained fathers (and probably accounts for the film’s acceptability given its rather lackluster Main Character). As David learns more about where Woody came from and why he did the things he did, the two grow closer in ways they never thought possible. Their Relationship Story Throughline captures the true heart of this story, resolving with touching sincerity. 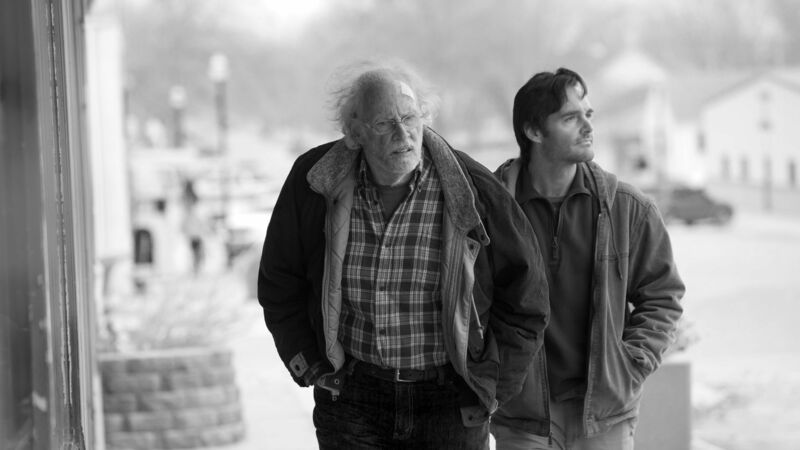 Audiences and critics alike praise Nebraska because they recognize the talents of a good storyteller. Effortlessly combining four throughlines into a single piece of narrative fiction, Alexander Payne elevates what could have been simple entertainment into a true work of art.